Is This a Professional Shot? This past week I was visiting some family members and I had an encounter that forced me to very quickly remember my role in the world. The people I was visiting are getting married next year, and they asked me to design a save the date card for them. 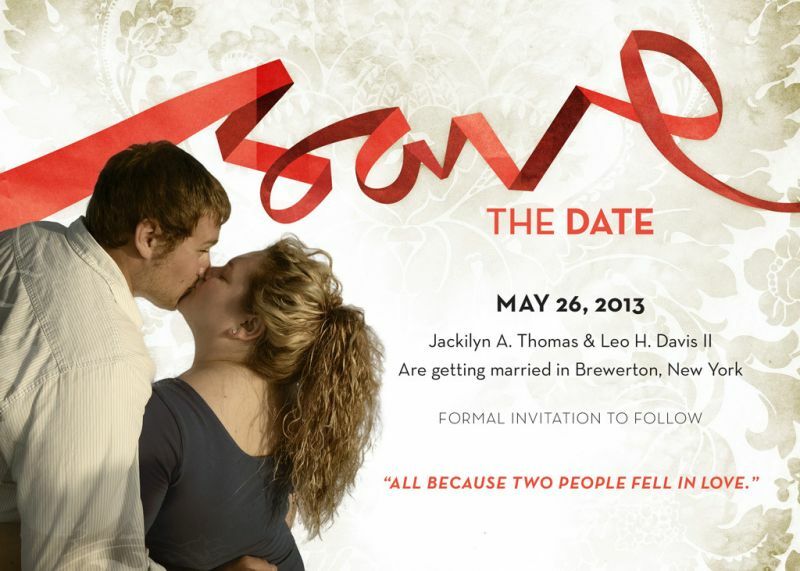 They had invitations, a color scheme, and interior decorations, they just wanted a memorable save the date. What size do you need it to be? How are you getting it printed? How are you mailing it? With my answers in hand, I went about designing the card. Personal projects are quite an interesting aside for the application of one’s work. For starters, I knew I wasn’t trying to appeal to a CEO or marketing director, but to somebody of a similar age to mine. Also, given the occasion, I knew the design had to be respectful and slightly romantic, no matter how creative I might be. I finished a draft and sent over the results to get feedback. I was expecting either surprise or disgust, but it was instantly approved, and after some minor changes, we were ready to print. In our explorations to find the most economical method for printing, we visited a local department store to see how much their standard glossy prints were. The results came out acceptable, but the price wasn’t great, so we would just pay for the one we made. At the counter in the photo area, the clerk paused on the print and examined it closely. The clerk may or may not have been referring to the actual photograph in the layout, but his meaning was understood. What surprised me at that moment was the idea of calling myself the “professional” to a complete stranger. The funny thing about my work is that I will never be “done.” My job requires creative output and problem solving. An infinite amount of problems combined with an infinite number of solutions means that I can grow very old and gray in this line of work. My focus, therefore, is always on the future. What can I get better at? Where am I weakest? How do I grow? These questions can sometimes make me forget that in many ways, I have already achieved quite a bit in my time. It was almost second nature to approach this personal project like a professional might. I got the specs, I knew the goals, and I pleased the client. Sometimes it’s easy to get lost in a myriad of change requests, layout options, and browser bugs. It can start to feel like most of what I do is fix things, rather than build them. With a bit of perspective, however, I reminded myself that I am indeed a professional, and that this is work that I love.